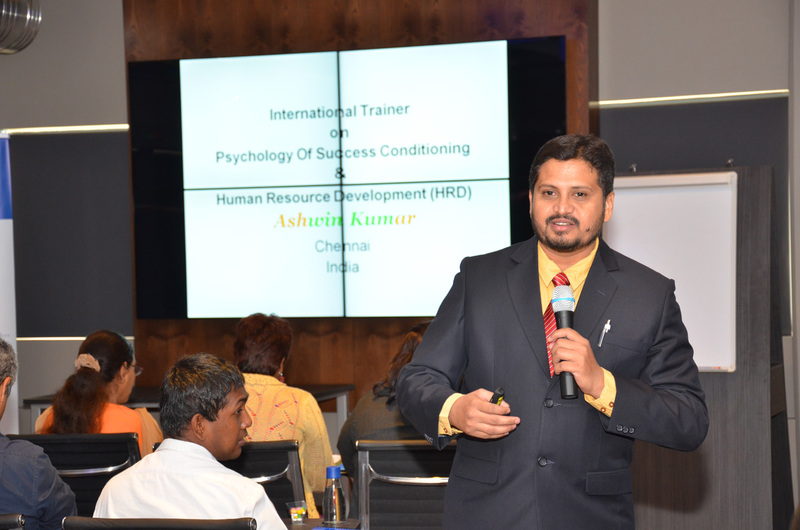 Ashwin, 38 is a Trainer of www.wintraining.in which is into HR Training & Consulting. He is into Hidden Resources Development (HRD) training for Corporates, Companies, Universities and Colleges. 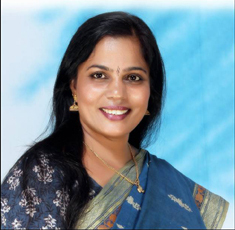 A graduate of Bio-chemistry and has been associated with Scientists & experts. Started his career in Sales & Marketing and worked in various corporates including CITI Bank and Sutherland Call Centre. Having got more than 18 yrs of experience in various management fields, he started his freelance training for all sectors of people. On several interactions with scientists and experts , he discovered that our Socio Economic factors and Limiting Beliefs were the primary causes for not achieving greater results like developed countries. He did extensive research and has been searching for best life skill’s tools such that anyone can get giant results and feel Greater - Success. He learnt the Anthony Robin’s tools and strategies which made him understand the Basic Human Psychic needs for achieving greater results. Based on the outcome he re-engineered and drafted the training methodology which suits our Indian Economy and Working Culture; and tested with many people. The training named “Psychology of Success Conditioning integrated with soft skills “ will totally transform people’s lives and empowering them in all aspects. The programme has been designed by Mr. Ashwin and will be delivered by him and other trainers. The approach is a splend blend of conceptual, process oriented and live experiential methodology. For the past 18 yrs he has trained more than 10,000 people from lay men to senior level executives across varies cities. The training will be in English, Tamil and other local languages. He has been executing various consultancy assignments towards enriching management practices and enhancing work culture. © 2009-2014 www.WinTraining.in. All rights reserved. Powered by: www.pppindia.com.